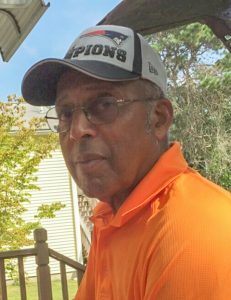 Frank O. Gonsalves, 91, died on Tuesday evening, Feb. 12, 2019, at his home in Vineyard Haven. He was the husband of Virginia M. (Cecilio) Gonsalves, and father of Wayne, Brian, and Glenn Gonsalves, and Paula Small. Frank was also the brother of Audrey Moreis, Sybil Moreis, Sandra Porrota, Dennis Gonsalves, and Jerome Gonsalves. He was predeceased by his sisters Phyllis Rogers and Lillian Garvin.